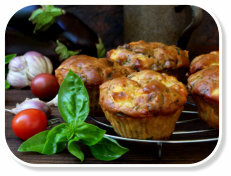 Savoury muffins are full of vegetables and protein. 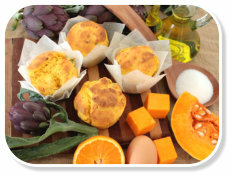 They are perfect for breakfast, with afternoon tea or to include in a healthy lunch-boxes. 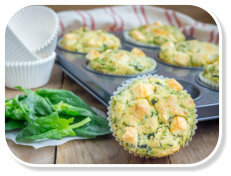 Muffins make ideal snacks and in-between meals as they are filling, satisfying and nutritious. 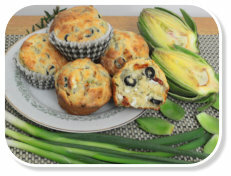 Globe artichoke muffins are a perfect, healthy, energy-packed meal for those busy days when you need to eat on-the-go! 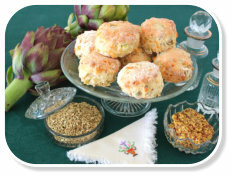 Tasty savoury scones are perfect afternoon treats with a hot drink or to replace bread served with a meal, as they contain more sustenance. 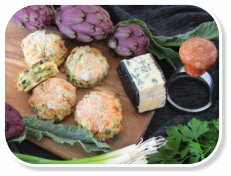 A healthy, savoury scone packed with veges is ideal when creating a quick meal; especially with a serving of meat and a salad. 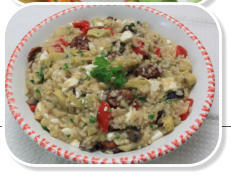 They can be prepared in advance for those busy evenings, stored in the fridge, and baked when required. 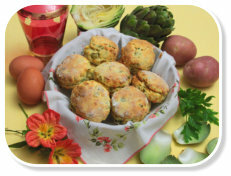 Globe artichoke scones are particularly delicious warm from the oven, with a dab of butter! 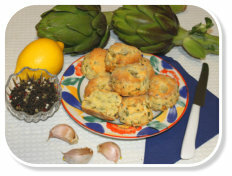 It is easy to prepare globe artichoke muffins and scones when you have artichoke hearts already preserved, either in jars or in the freezer. 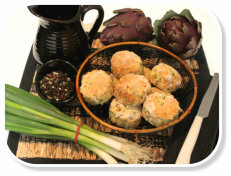 For simple instructions on how to preserve artichoke hearts, please see our page on Preserves. 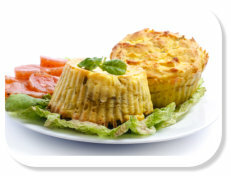 Artichokes help to reduce cholesterol by increasing the level of HDL cholesterol (good cholesterol) therefore, decreasing the risk of heart disease!